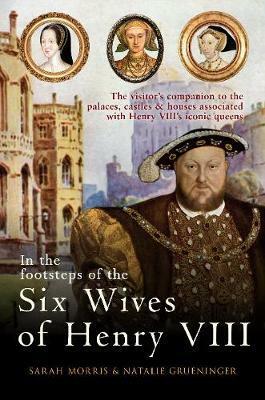 This book provides a fresh perspective on the lives of Henry VIII's six wives by embarking on a journey through the manors, castles and palaces in which their lives were played out. This journey traces their steps to the Alhambra in Spain, childhood home of Katherine of Aragon; to the very room at Acton Court where Anne Boleyn and Henry VIII publicly dined; through the cobbled grounds of Hampton Court Palace, which bore witness to both triumph and tragedy for Jane Seymour; into the streets of Dusseldorf in Germany, birthplace of Anne of Cleves; among the ruins and picturesque gardens of St Mary's Abbey in York where Catherine Howard and Henry VIII rested at the pinnacle of the 1541 progress; and to Gainsborough Old Hall in Lincolnshire, where Katherine Parr lived as daughter-in-law of the irascible Sir Thomas Brough. Each location is described in a fascinating narrative that unearths the queens' lives in documents and artefacts, as well as providing practical visitor information based on the authors' first-hand knowledge of each site. Accompanied by an extensive range of images including timelines, maps, photographs and sketches, this book brings us closer than ever to the women behind the legends, providing a personal and illuminating journey in the footsteps of the six wives of Henry VIII. Sarah Morris runs the website www.anneboleynbook.co.uk, dedicated to her non-fiction and fiction writing about England's most famous queen consort. Natalie Grueninger is a researcher, writer and educator, and founder of www.onthetudortrail.com, a site about Anne Boleyn and Tudor England.